Special effects: silver metallic pigments on the obi; embossed fabric printing (nuno-me-zuri) on the lady’s kimono. Published ca. 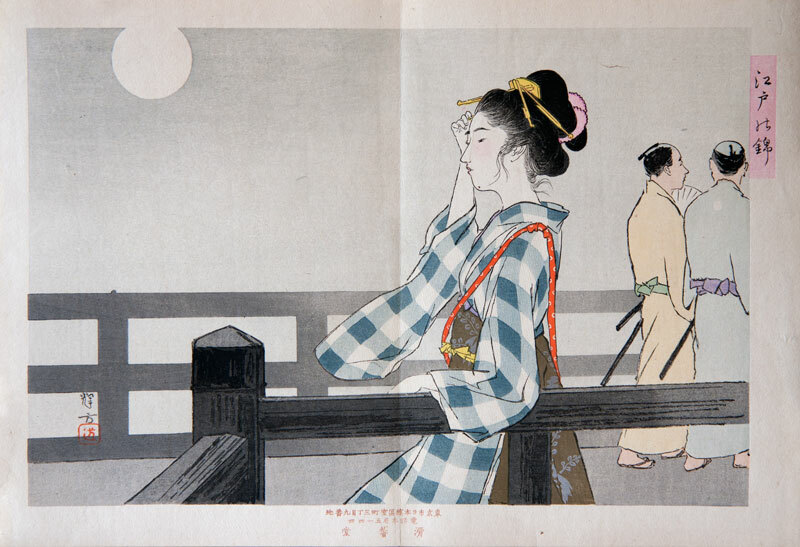 Meiji 43 (1910) by Akiyama Buemon. This print has a vertical fold in the middle, meaning that it originally was issued as part of an orihon (i.e., folding book). Provenance: The Arts and Designs of Japan website of Peter and Lois Gilder.